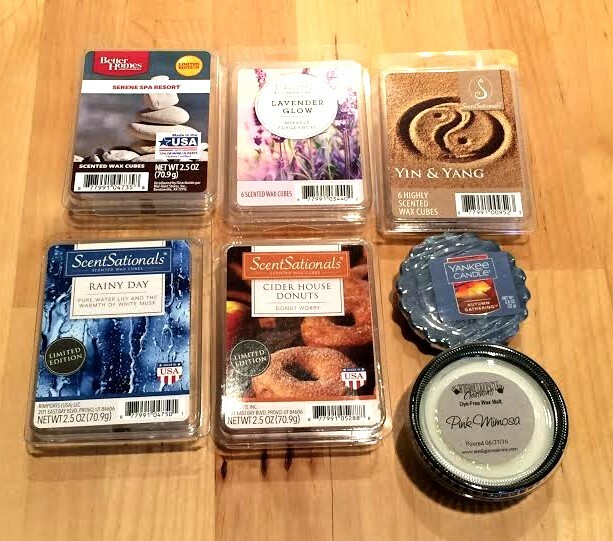 Today, for the Fall Fun Series I'll be showing you my fall decor and my recent melts. Mind you, I don't have a lot of fall decor. Decorating is one of my favorite things, but I'm very limited on space in a one bedroom apartment. That doesn't leave me a lot of room to decorate, and even less room to store decorations, so I have to keep it simple and small. Also, with my budget, I like to keep it inexpensive. I have a little fall set up on my dining room table. I will be expanding my decorations come Halloween time to include my patio balcony and my front door. For now, this is what I have. 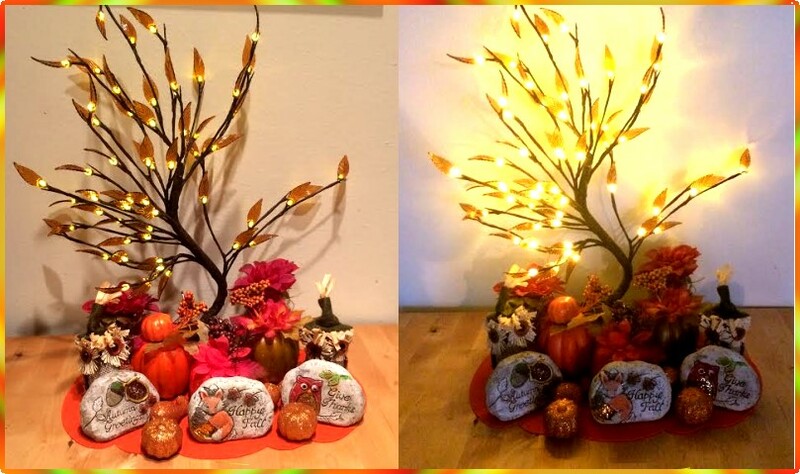 The highlight of my fall decor is definitely the lighted tree. I have this version and a cherry blossom one I bring out in spring and summer. I got this tree at Bed Bath & Beyond for a great price. This is the 22in Brown Wrapped Amber Leaf tree and it's $29.99. I purchased this in store using one of the 20% off coupons, so it was very reasonable. It's also available on their website. I bought this tree last year and it's still kicking this year. The rest of my fall decor all comes from Dollar Tree. I know that's not very elegant or classy, but for my wants right now it works well. They actually do have some pretty cute stuff too. I got most of this stuff last fall, but I saw many of the same items there this year. I love the little stones with the cute autumn greetings. 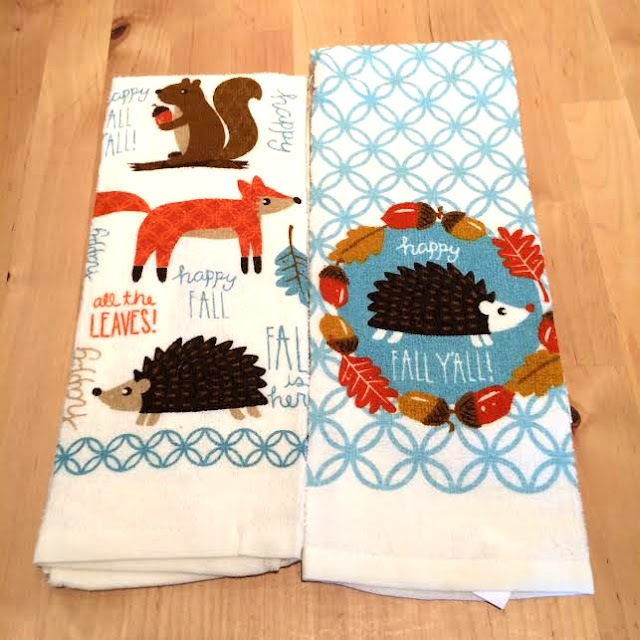 The fox "Happy Fall" one is new for this year. The pumpkins, flowers, straw owls, and pumpkin placemat all came from there too. I also spotted these super cute kitchen towels at Walmart today. They had a nice little endcap display with kitchen towels and oven mitts for only $0.88 each! My biggest problem when it comes to seasonal melts is I tend to overdo it early on. I will melt so much fall stuff August-September come October, I'm sick of fall scents and want to move into Christmas ones. That means by December, I'm ready for spring...and so on and so forth! I'm really trying not do that this year, so the past few days I have very few fall melts and a lot of everyday type melts I melt year round. **The ones I have already reviewed will be linked with their name to my review post, the ones without links are ones I will be reviewing on Sunday's Weekly Wax Wrap Up post! Please check out my friends fall decor and melts!